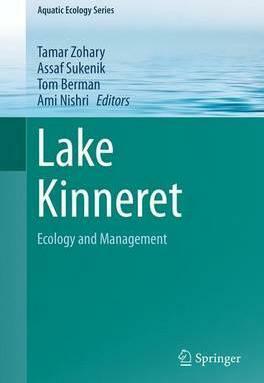 This condensed volume summarizes updated knowledge on the warm-monomictic subtropical Lake Kinneret, including its geophysical setting, the dynamics of physical, chemical and biological processes and the major natural and anthropogenic factors that affect this unique aquatic ecosystem. This work expands on a previous monograph on Lake Kinneret published in 1978 and capitalizes on the outcome of more than 40 years of research and monitoring activities. These were intensively integrated with lake management aimed at sustainable use for supply of drinking water, tourism, recreation and fishery. The book chapters are aimed at the limnological community, aquatic ecologists, managers of aquatic ecosystems and other professionals. It presents the geographic and geological setting, the meteorology and hydrology of the region, continues with various aspects of the pelagic and the littoral systems. Finally, the last section of the book addresses lake management, demonstrating how the accumulated knowledge was applied in order to manage this important source of freshwater. The section on the pelagic system comprises the heart of the book, addressing the major physical processes, external and internal loading, the pelagic communities (from bacteria to fish), physiological processes and the major biogeochemical cycles in the lake. Illustrations note 51 Illustrations, color; 179 Illustrations, black and white; XVIII, 683 p. 230 illus., 51 illus. in color. Part I The Geographical and Geological Setting.- Part II The Physical and chemical Setting.- Part III Pelagic Communities.- Part IV Nutrient Sources and Biogeochemical Processes.- Part V The Littoral.- Part VI Integrated Lake-Watershed Management.- Part VII Synopsis. Tamar Zohary is a research scientist at the Kinneret Limnological Laboratory, Israel Oceanographic & Limnological Research (IOLR), and its director since 2007. She joined IOLR in 1989 after completing a PhD degree in Limnology while working as a research scientist at the CSIR in Pretoria, South Africa. There her research focused on the ecology of bloom-forming cyanobacteria in a hypertrophic lake. Ever since, microbial ecology and particularly phytoplankton ecology was the major focus of her research. She worked in diverse ecosystems ranging from wetlands to the Mediterranean Sea, but most of her research time was devoted to Lake Kinneret. Her current research focuses on how the Lake Kinneret ecosystem and specifically its phytoplankton and fish populations, responded to man-induced water level fluctuations. She was the president of the Israel Association of Aquatic Sciences and currently serves as the general secretary-treasurer of SIL, the international society of Limnology. Assaf Sukenik - limnologist and phytoplankton physiologist who studies toxic cyanobacteria, their life cycle, toxin production and the biological role of cyanotoxins and their impact on water quality. Served as the director of the Kinneret Limnological Laboratory (IOLR) between 1998 and 2007. Published more than 90 research and review papers on algal and cyanobacterial physiology, cyanotoxins and monitoring of freshwater ecosystems. Tom Berman, 1934-2013, was a microbial ecologist, working in both marine and inland water systems. His research covered a wide spectrum of topics, such as primary production, deep chlorophyll maxima, P limitation, uptake of N and P, DON and DOP utilization by phytoplankton and bacteria, extracellular release of DO, the microbial loop. In recent years he studied transparent exopolymers, TEP. He was the first director of the Kinneret Limnological Laboratory, IOLR, from 1967-1991 and again from 1986-1998. He was one of the founding fathers of SIL's Working Group on Aquatic Primary Productivity (GAP) and its first chairman, from 1980 till 1992. Tom Berman published nearly 200 articles in peer-reviewed journals. Unfortunately he passed away before this book was finalized. Ami Nishri: Received his PhD from the Weizmann Institute of Science, studying various geochemical aspects of brines of the Dead Sea. For his Post-Doc in Germany he studied the Asse Salt mines. Since 1988 he is a research scientist at the Kinneret Limnological Laboratory, IOLR, working on the biogeochemistry of freshwaters, with a focus on Lake Kinneret and its watershed. Topics studied were related to the lake physics, chemistry, biology and sedimentary processes. Authored ~ 60 peer-reviewed papers.